Hero Motorcycle and Scooter India has launched the 2018 version of its Aviator scooter in the domestic market today. Priced at Rs. 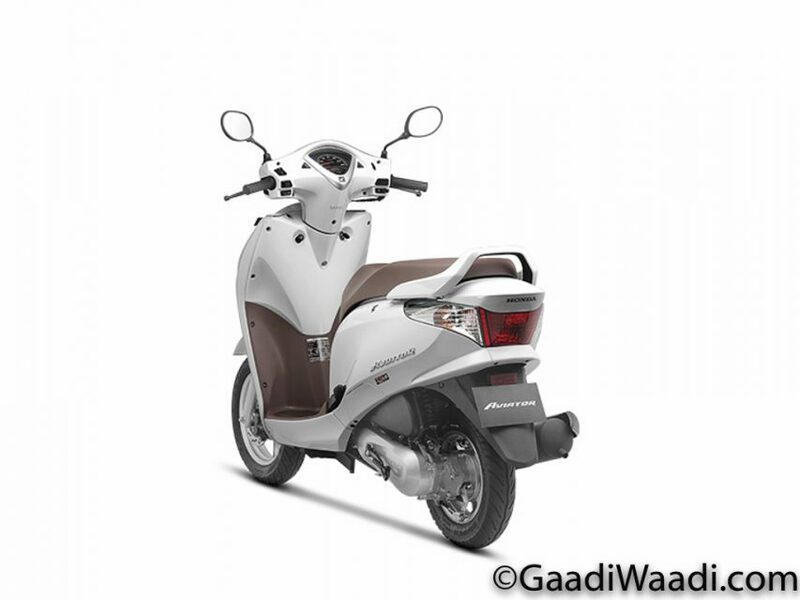 55,157 (ex-showroom, New Delhi), the new model follows the introduction of the 2018 Activa-i a few days ago with subtle updates. The 2018 Honda Aviator is around Rs.1,400 costlier than the outgoing version due to the addition of new bits and bobs. Retailed in a total of three variants such as Standard, Drum and Deluxe, the updated Aviator comes with a new Pearl Spartan Red colour option, along with other existing paint schemes like Pearl Igneous Black, Matte Selene Silver Metallic and Pearl Amazing White. 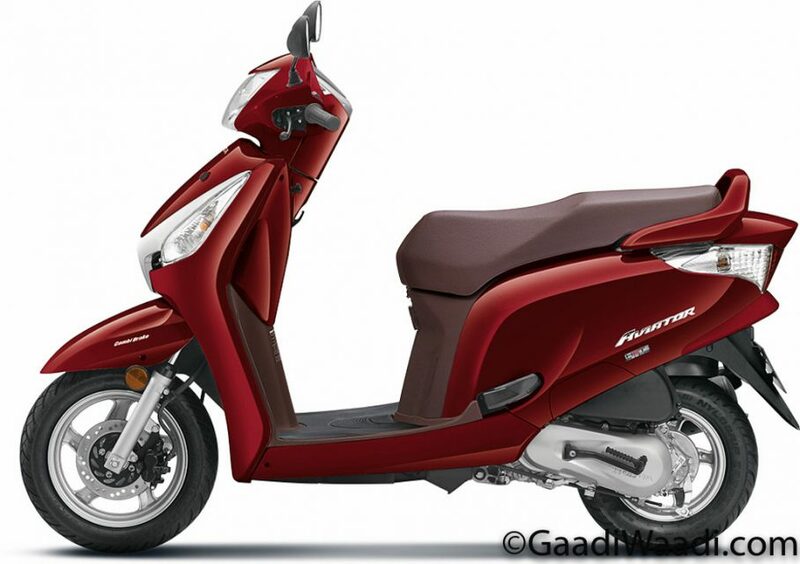 Like the Honda Activa 125, the new Aviator features LED headlight with Daytime Running Lights, metal muffler protector, instrument cluster backlit in blue colour, 4-in-1 ignition switch with seat opener switch, as well as retractable front and rear hooks among others. The new updates on Aviator are part of Honda expanding its modern features across the range in the face of growing competition. Other than the aforementioned changes, the Aviator remains the same mechanically with 109 cc single-cylinder two-valve carburetted engine. It is good enough to produce a maximum power output of 8 bhp at 7,000 rpm and 9 Nm of peak torque delivered at 5,500 rpm, and is mated to a V-Matic transmission. The 2018 Honda Aviator is built on an under bone chassis and measures 1,802 mm in length, 703 mm in width and stands 1,162 mm tall. It has a wheelbase of 1,256 mm and tips the weighing scale at 105 kg with fuel tank capacity of 6 litres and 145 mm ground clearance. 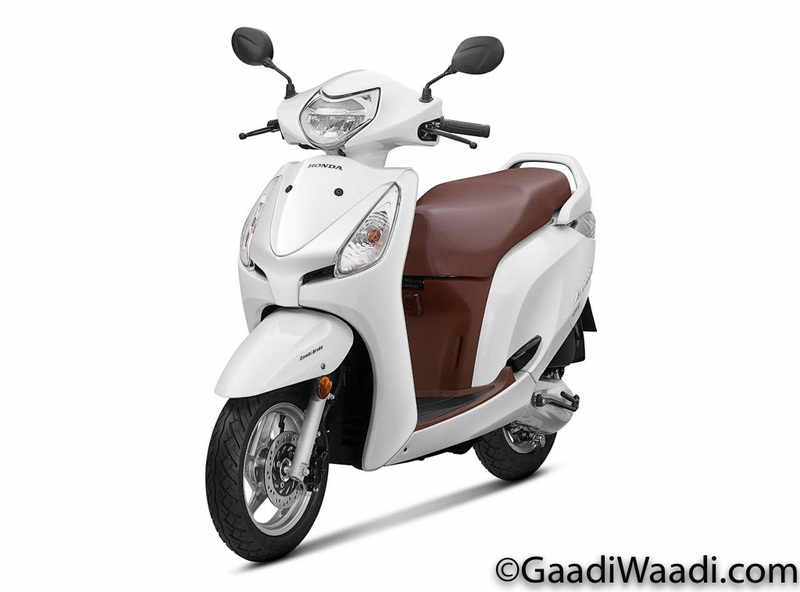 The 110 cc scooter has 82 kmph claimed top speed and is suspended on telescopic front forks and spring loaded hydraulic shock absorbers at the rear. Braking duties are done by 190 mm front disc and 130 mm rear drum brake with CBS (Combined Braking System) as standard. It runs on 90/100 section 12-inch front and 10-inch rear tubeless tyres. The Aviator competes against the likes of TVS Jupiter, Hero Maestro Edge and Suzuki Let’s.